How Much Can a 2018 Ram 3500 Tow? Whether you need the full 2018 Ram 3500 towing capabilities or just like to know they’re available to you, it’s tough to go wrong with this truck. With superior towing power to both the Ram 1500 and Ram 2500, the Ram 3500 diesel is capable of pulling as much as 31,210 pounds. But that’s not all it has to offer. 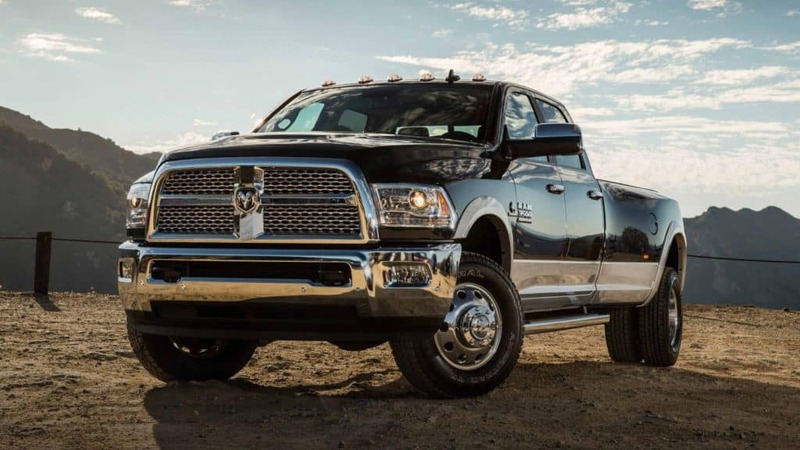 Check out its towing and hauling specs below to see why Douglas County drivers serious about their trucks choose the dependable Ram 3500. A fully-outfitted 2018 Ram 3500 can tow as much as 31,210 pounds thanks to its state-of-the-art Cummins diesel engine. What lets the Ram 3500 tow so much? The Cummins diesel has some of the most impressive specs, including a best-in-class torque of 930 lb-ft.
Not everyone wants a diesel truck, but don't think that's where all of the Ram 3500 towing capabilities lie. A 6.4L HEMI engine offers best-in-class 410 hp and can deliver fifth-wheel towing of 30,000 pounds. A true heavy-duty truck, the 2018 Ram 3500 has a max payload of 7,350 pounds on the non-diesel models. It's ready to work. Now that you know the most important part about your next truck, we want to help you work out the rest of the details. The 2018 Ram 3500 towing specs are what bring Coweta and Carroll County drivers to this impressive truck, but it’s the cabin features, truck bed versatility, and dependability that make them love it. 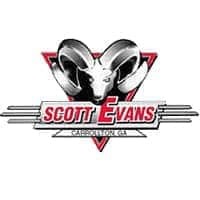 Contact Scott Evans CDJR today to compare the Ram 2500 vs 3500, explore your RAM 3500 and RAM 4500 Chassis Cab options, and browse the long list of available features – then see it in person at our dealership in Carrollton. Compare the 3500 to other RAM models to learn more, and then browse our new 3500 inventory. We can’t wait to put you behind the wheel.